Last September, I decided to create my own artist residency at Gettysburg National Park. I had been a finalist for a sponsored residency, and I told myself if I applied a second time and wasn’t accepted, I would do it anyway. So that’s what happened, and in so many ways, it has turned out to be exactly the kind of inspiring experience I – and my creative process – thrive on. 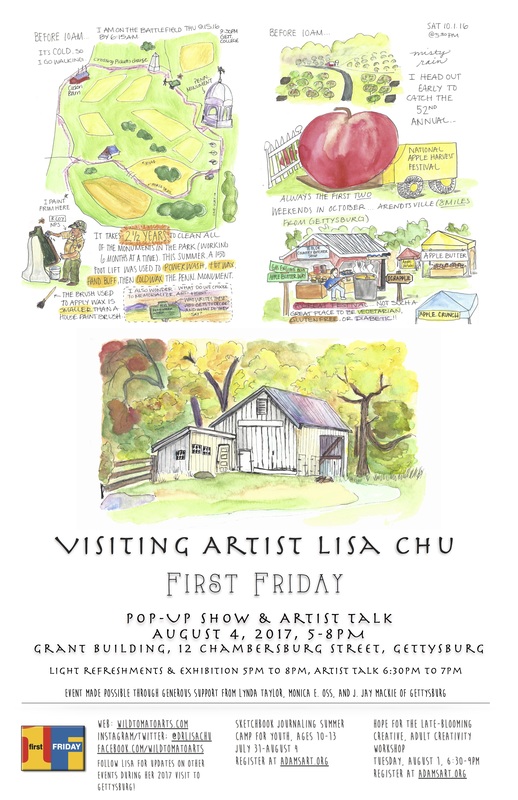 First Friday Pop-Up Show & Artist Talk – Friday, August 4, 2017, 5pm to 8pm, Grant Building, 12 Chambersburg Street, Gettysburg. 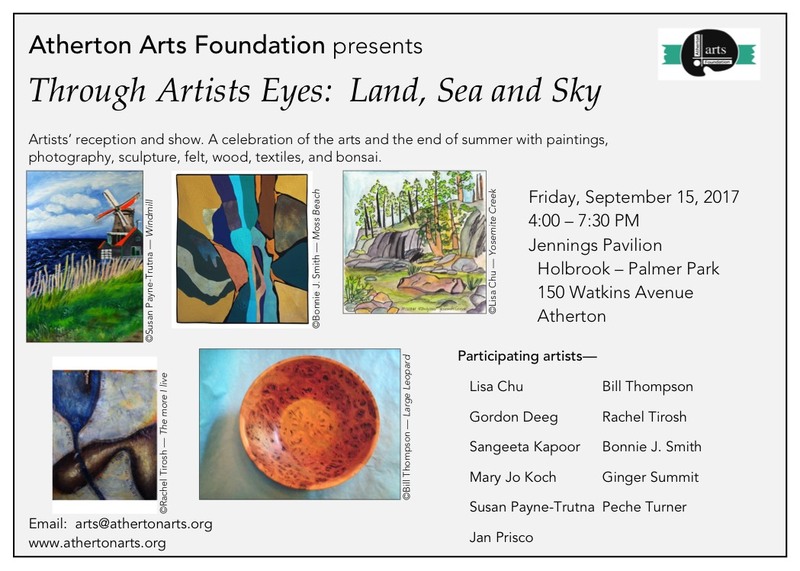 Light refreshments and Exhibition, 5pm to 8pm, Artist Talk 6:30pm to 7pm. Presenting illustrations created during a 30-day residency in Gettysburg in 2016: Battlefield & Beyond. Plus, a public interactive textile created during exhibition of this work in California. Event made possible through generous support from Lynda Taylor, Monica E. Oss, and J. Jay Mackie of Gettysburg. Youth Sketchbook Journaling Summer Camp at Adams County Arts Council – Observe and record the world. This unique camp combines drawing and writing to create expressive journal pages with a visual story on every one. You will work with various media and venture outdoors to create Gettysburg sketches. Ages 10 to 13. Monday, July 31 through Friday, August 4, 9am to noon. Register here. Hope for the Late-Blooming Creative: adult creativity workshop at Adams County Arts Council. Tuesday, August 1, 6:30pm to 9pm. Contact Adams County Arts Council to register. Follow me on Instagram, Twitter, or Facebook to hear about other spontaneous events while I’m in Gettysburg. I’m looking forward to a collaboration with Destination Gettysburg, maybe doing some sketch crawls, creativity jumpstart sessions…who knows? I’ve learned to embrace all the pleasant surprises in the beautiful compost of life. NBC Bay Area picks up Badass Women Challenge story! In the whirlwind week before the Bold Audacious Daring Women Painting workshop, I got front page coverage in my local newspaper, Half Moon Bay Review, followed by video coverage by NBC Bay Area! Photo by Rebecca Greenway, NBC Bay Area. The exhibition is on display at Bamboo hair + body in Half Moon Bay, through May 13, 2017. For more on the Badass Women Portraits project, visit this project link.